As the leaves begin to change and the forecast turns cooler, we know that fall is officially here. The raking of leaves will replace the sound of the lawn mowers. Fingers will be crossed that the snow blower will start without issue and not need another trip to the repair shop. The preparations for shorter days and harsh weather will begin. 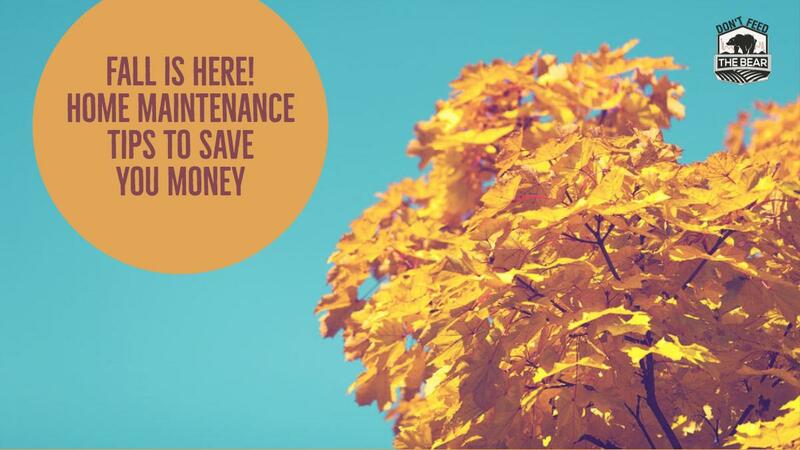 It is this time of year that you should also consider preparations to save money this winter with a few simple house maintenance suggestions. For less than the cost of a night out, you can purchase enough window covering kits to seal all of drafty windows in your entire house. It is common for homes that are 10 years old or older to lose heat through the window frames and latches. The problem can be exacerbated by overnight low temperatures in the single digits. This is an interesting idea to push more warm air down from the ceiling into your living space. Most fans have a switch or lever to reverse the direction of the fan. While it may not save hundreds of dollars on a heating bill, it is well worth the handful of minutes that it would take to flip the switch on all of the fans in your house. It is well worth a service charge from your local heating and cooling company to come out and check the insulation levels in your attic or crawl space, especially in older homes. It is often forgotten because we only see our insulation if go into those areas, but this is a suggestion than can have meaningful impact on your energy bills. While we can still see grass and driveways, it is time to prep your house for the inevitable. Most of us have lived in Wisconsin long enough to realize that the first cold blast comes sooner than expected. Make these changes now and enjoy the savings later.